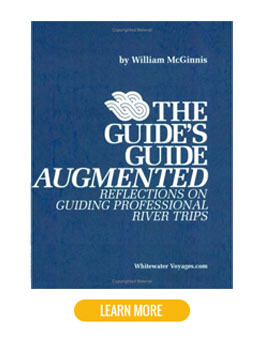 Published in 2001 by Whitewater Voyages, 31 pages. 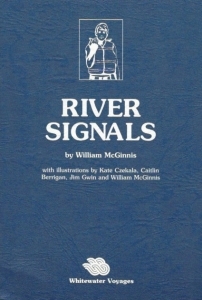 On the river, where distance and the roar of the rapids can make it impossible for speech to be heard, hand and whistle signals can be useful in all sorts of situations, including coordinating groups of boats, enabling fast effective responses to life-threatening emergencies, and making those all-important emotional connections. 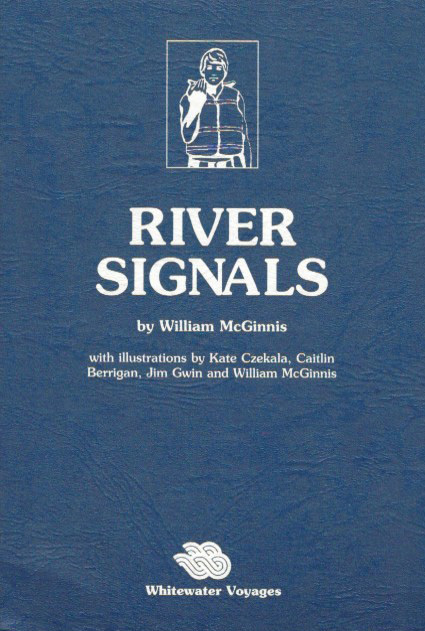 In the course of a lifetime of river running, I – and many of my boating companions over the years – have adopted the language of hand and whistle signals shown in this little book. Some of these signals were already universal; many are based on signing, the language of the death; and we’ve tried to make as many as possible intuitive that is understandable at first glance. By facilitating clear communication in situations where it would otherwise be impossible, a widely use language of hand and whistle signals can enhance cooperation and goodwill within and between boating groups, and make and help make all of our river journeys safer, smoother, and more fun. 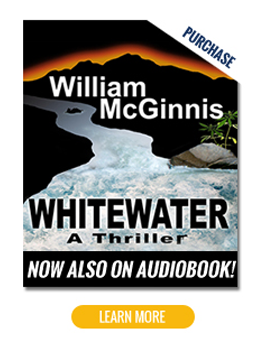 A soulful adventure in one of the most beautiful and intense places on earth, Whitewater: A Thriller is a must read! A great story, definitely a thriller, with powerful ‘life teachings/lessons’ woven in. Only one issue: it’s too damn stimulating! Buy this book! … An accomplished writer, McGinnis … delivers a thriller crafted to please. 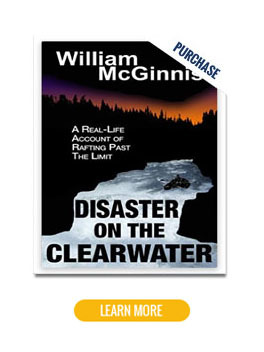 Disaster On The Clearwater On Sale On Amazon Now! Click here to purchase!